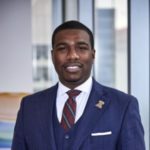 Kevin Harden, Jr. – The Barristers’ Association of Philadelphia, Inc.
Kevin is a past president of the Barristers’ Association of Philadelphia. He specializes in catastrophic injury and medical malpractice cases in Pennsylvania’s premiere catastrophic injury law firm. He can be reached at kharden@rossfellercasey.com or by phone at 267-515-6692.